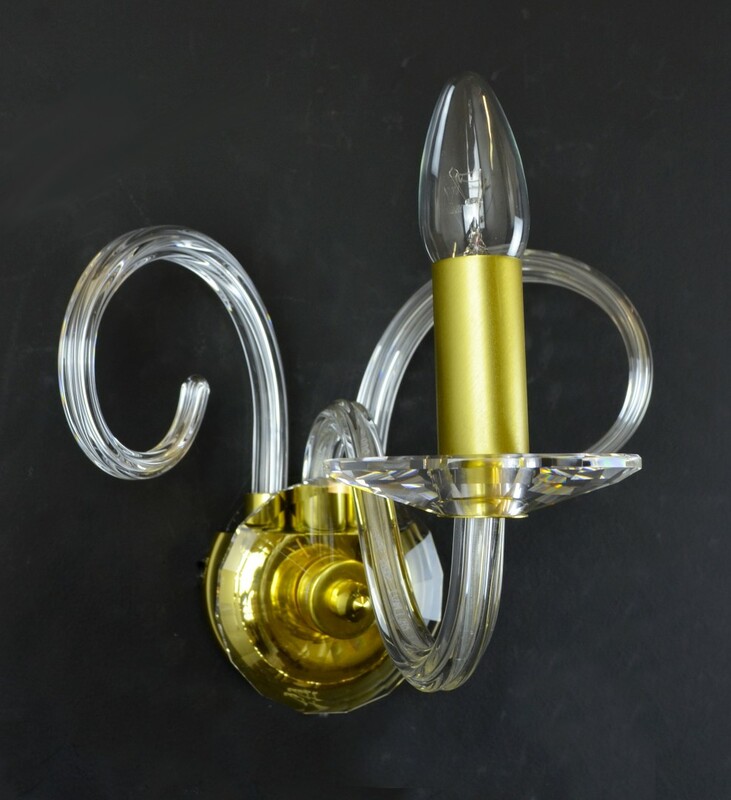 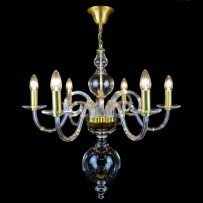 Design chandelier composed of hand-blown and polished glass parts. 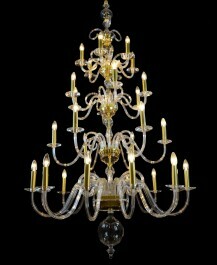 30 PCs of profiled glass arms at four tiers. 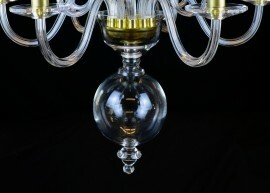 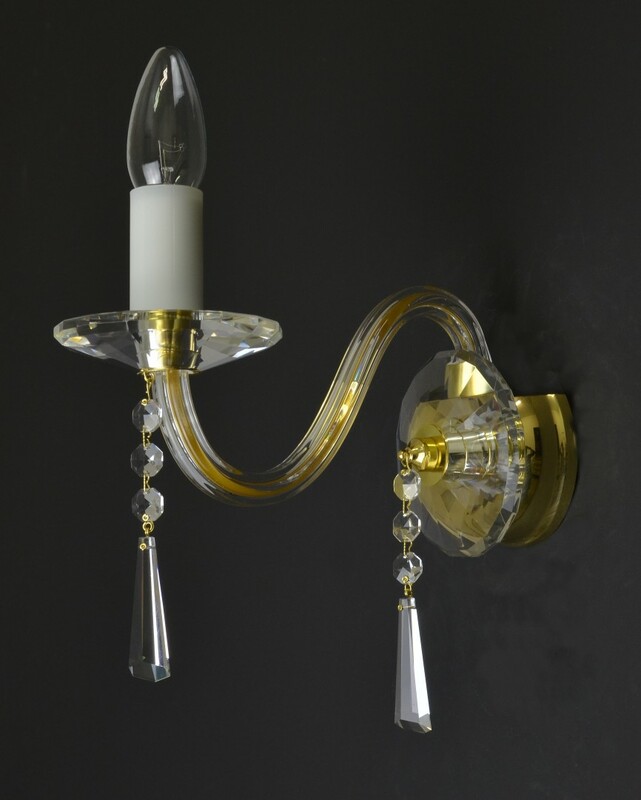 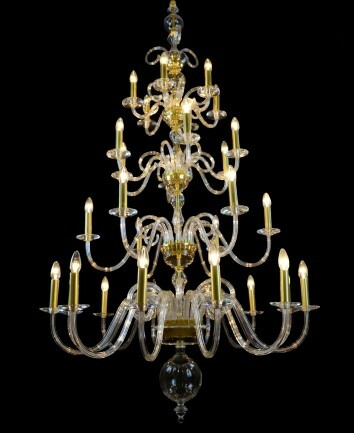 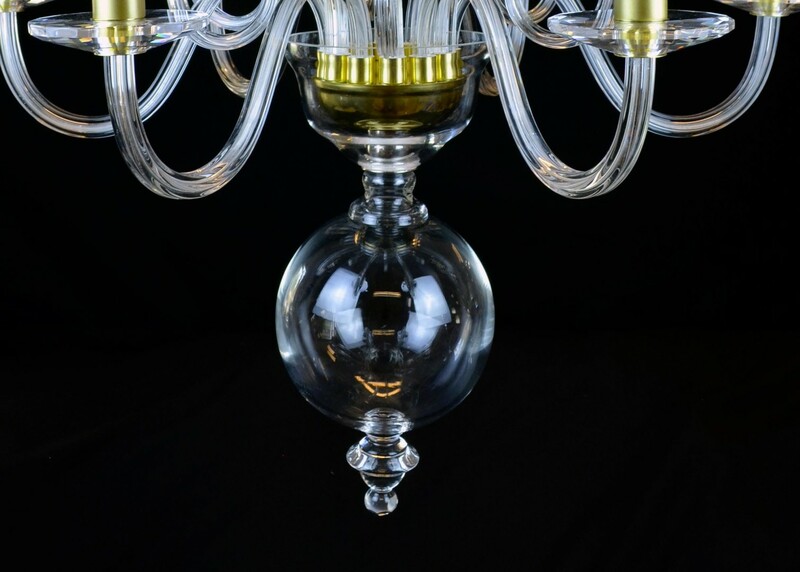 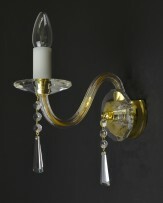 The chandelier can also be supplied in silver-matt finish.Solid light bobeches of cut crystal glass. 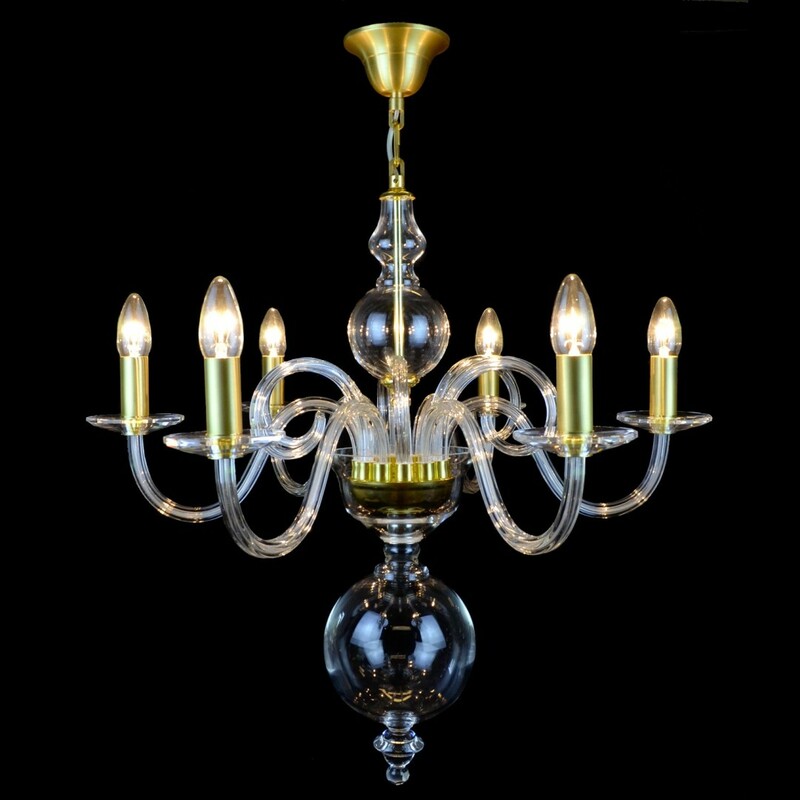 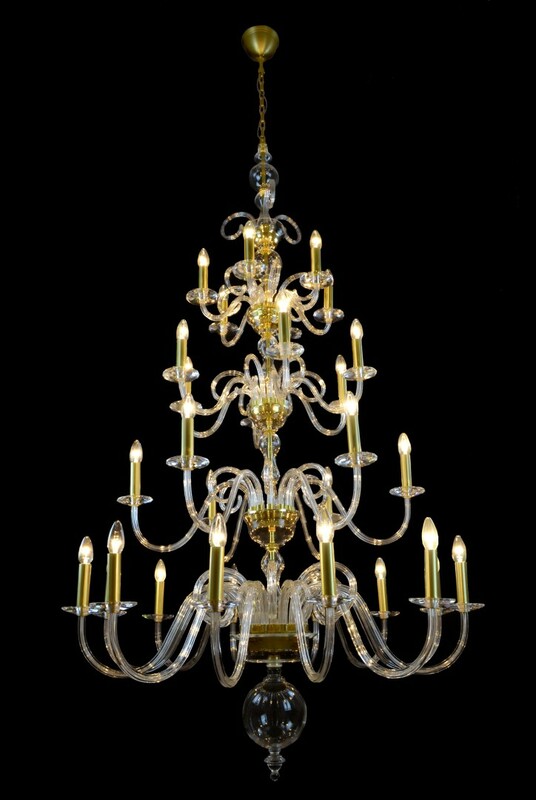 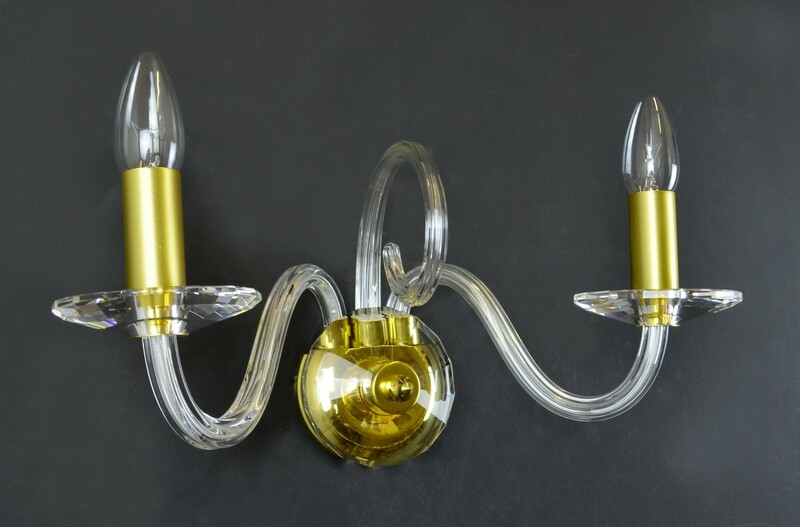 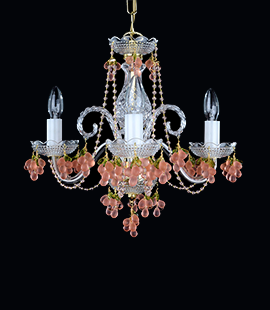 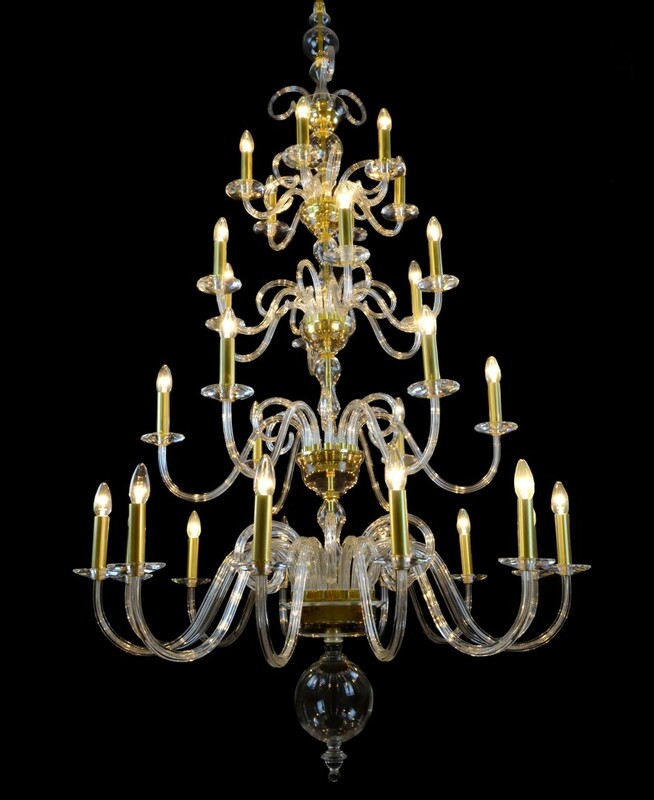 Dimensions (W x H): 100 x 200 cm/ 40.8"x81.6"
Dimensions (W x H): 65 x 80 cm/ 26.5"x32.7"
The chandeliers can be ordered with the design wall lights in the same style.